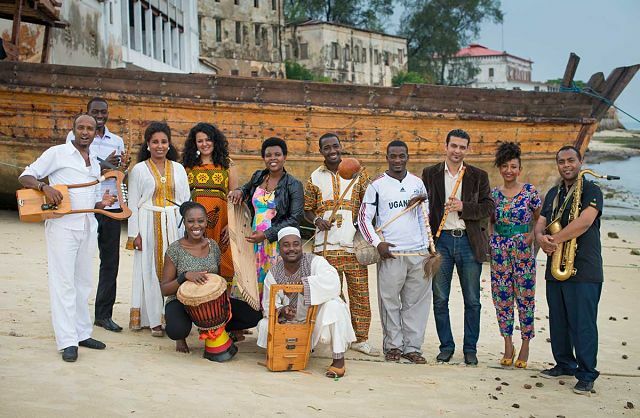 New York (TADIAS) – The Nile Project, which features a diverse group of talented musicians from several Nile Basin countries — including Ethiopia, Sudan, Kenya, Uganda, Burundi and Egypt — will perform in New York City at the Lincoln Center (David Rubenstein Atrium) on March 19th. The Ethiopian artists include Meklit Hadero, Endris Hassen, Dawit Seyoum, Selamnesh Zemene, Jorga Mesfin, Mekuanent Melese and Asrat Ayalew. Organizers note that the event is the first of a two-part concert series to be followed by a performance at Pace University on March 20th.